Are you worth this one? What is this? Does it exist? GCW Zero needed a successor, or atleast a evolution but unfortunately never happened it was a good first console and got so much right but flawed. It happens with first devices, then improvements made in the following versions like GP2X for example. The next GCW device needs to be built by this dingoo community with someone like ED lwith his openpyra project, so that we don't have the problems with hardware flaws of chinese devices. It will then truly be a "console built by gamers for gamers". There's plenty of talent in the community. Well the closest thing to a successor is the Retro V3S, though that console is equipped with an ARM SoC and does not have a 3D GPU like the GCW0. There's also the retrostone 2, which will have its own kickstarter. None of these are MIPS devices though. Jim Goose is working on a new MIPS handled using the JZ4780 but it's mostly a part-time project. Looks like taller and thinner LDK, not really fond of this type of gameboy design. Would have preferred a form factor like GCW, anyway what is size of the screen? 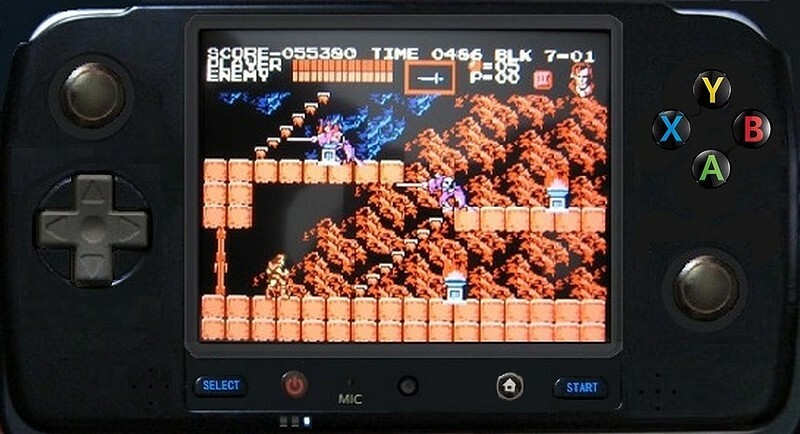 It's only slightly bigger than the bittboy (the screen at least) : around 2.5 inches or so. Size wise, it's almost identical to the bittboy.